When our faces age, skin, and fat begin to sag and a more gaunt, less youthful appearance sets in. Sagging skin and fat can be improved significantly in the right candidate with a facelift. The gaunt appearance, however, is due to a loss of volume typically in the form of fat atrophy or loss. A fat transfer, or facial fat grafting, can help complement a facelift and replace the lost fat. Restoring facial volume naturally with beautiful results can be achieved with a facial fat transfer. 1 What Is A Facial Fat Transfer? Also referred to as an autologous fat transfer, a facial fat transfer is a cosmetic procedure in which a person’s own existing body fat is used to restore volume to and plump up sunken or sagging areas of the face. “Autologous” simply means the use of one’s own tissue or fat. Because an individual’s own fatty tissue is used, the entire facial fat transfer procedure involves 3 in-depth steps. Firstly, the patient must undergo a light liposuction treatment, extracting any pockets of extra fat around the abdomen, jowls, thighs, and buttocks. Next, the extracted fat cells need to be isolated and purified. Once the fat cells have been cleansed, they are injected into the targeted areas on the face. Undergoing a facial fat transfer helps remove any visible “wear and tear” on the face, including but not limited to: smile and frown lines, marionette lines (which run from the sides of the mouth all the way down to the chin), wrinkles and furrows, and hollowed areas (like under the cheekbone or eyes). Also, lips that have lost their volume and plumpness may be treated by a facial fat transfer, along with scars or depressions on the face caused by scars (i.e. acne). Anyone with at least one of these characteristics of aging, facial volume loss, or scarring would be good contenders for a facial fat transfer. The most ideal candidates for a facial fat transfer include individuals who have a strong desire to rid the signs of aging from their face–whether it’s sunken areas, furrows, wrinkles, deep lines, or a combination of these features. Keep in mind that a facial fat transfer can also augment and volumize the lips. In certain scenarios, younger patients may even be eligible for a facial fat transfer. Facial fat transfers also treat a condition called lipoatrophy, which refers to the loss of the layer of fat on the face that gives shape to the cheeks and jawline. By filling in the hollow depressions on the face, a facial fat transfer can reintroduce satisfying contours to your visage. If you suffer from a facial issue that hasn’t been mentioned on this page, you should still consult your dermatologist or cosmetic surgeon and ask them if a facial fat transfer could alleviate your particular facial problem, or if it can be used in conjunction with another facial treatment such as Botox, Radiesse, or CosmoPlast. Because of the inherent safety of a facial fat transfer procedure, there are no constraints associated with allergies, eliminating the risk of a reaction. However, during the first consultation with your cosmetic surgeon, you will be asked to disclose your medical history. This will include letting your surgeon know about any existing medical conditions or medications you take, as well as if you smoke, take birth control, or use blood-thinners. Your cosmetic surgeon will also need to note what supplements you take, if applicable. This sort of information will be used to determine if you’re a fit candidate for a facial fat transfer. The facial fat transfer is highly effective at treating a plethora of areas on the face including deep creases on the forehead or between the eyebrows as well as hollow areas under the cheeks and eyes. This particular fat injection can also aid with contouring around the nose, temples, upper lip and the jawline. A facial fat transfer can also reduce the appearance of scars, sunken or sagging skin, as well as any other areas on the face or neck that have lost their original plumpness. Certain areas on the face will only require a single facial fat transfer treatment to produce visible, lasting results, while other areas might require more than one fat injection to reach its desired contour. Unlike dermal fillers, a facial fat transfer does not introduce any foreign substances or compounds into the body. This is the single most important distinction between facial fat transfers and dermal filler, making fat injections the perfect solution for patients with allergies or sensitivities to substances like collagen or Hylaform. Another huge factor that defines facial fat transfers from most dermal fillers is that its volumizing effect lasts much longer. The results from a facial fat transfer typically last from several months to two years–there are even some cases in which the benefits last indefinitely. On the other hand, dermal fillers (especially those containing hyaluronic acid) break down much faster with their visible only lasting a number of months before disappearing and requiring further treatments. If you are considering a fat transfer and in the Orange County area, schedule your consultation and I will thoroughly discuss your options, including if facial fat grafting is right for you. A facial fat transfer treatment is meant to rejuvenate the facial appearance without using any incisions or lifting or tucking of the skin. By using an individual’s own stem-cell rich fat to replenish volume to the face, a more youthful facial contour can be restored. Your consultation is a personalized meeting where we will discuss your aesthetic goals and go over the entire experience of a facial fat transfer. To ensure the best results, I want all my patients to feel perfectly comfortable and confident in the treatment they are about to receive. It will help to have a general understanding of how a facial fat transfer procedure works, write down any questions or concerns, and even bring in pictures of your younger self as a visual reference. Be ready to disclose your recent medical history, which will include any existing medical conditions, previous surgeries, and current medications or supplements you are taking. 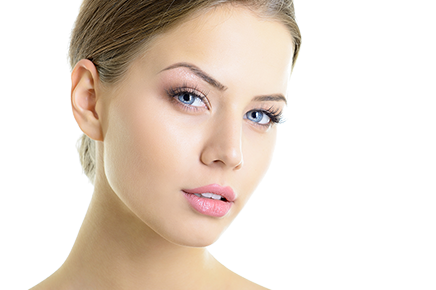 This information will be used to determine if you are fit to undergo a facial fat transfer. If you smoke cigarettes or use tobacco, you will be asked to quit 3 weeks before the procedure. This will ensure optimal recovery and results from your treatment. During this time, Dr. Yoo will also show you Before & After photos from past patients who have received a facial fat transfer. This will help you see the various possible results from the procedure. Before leaving your consultation cost and payment will be discussed and you will receive a quote. You will also make the appointment time for your procedure. Facial fat injections can be performed alone or in combination with other procedures such as a face and neck lift depending on the goals and desires of the individual. Swelling and bruising usually lasts for 1-3 weeks depending on the procedure(s) performed and the amount of fat that is injected. A compressive dressing or garment is usually worn over the liposuctioned areas to allow smooth and even healing. A facial fat transfer procedure is comprised of three simple steps including extracting excess fat from a donor site on the body, purifying the extracted fat cells, and injecting them into the targeted areas on the face. The results from a facial fat transfer are noticeable directly after treatment and last several months, a couple years, or even indefinitely in some cases. A facial fat transfer is an outpatient procedure performed at our facility, meaning you will be discharged the same day as your treatment. This allows you to begin your recovery in the comfort of your own home. You will be asked by Dr. Yoo to avoid any blood thinning medication (including aspirin and ibuprofen) two weeks prior to your procedure. Because there is no possibility of an allergic reaction to your own fat cells, there is no need for allergy testing before treatment. The first step of a facial fat transfer involves liposuction from the designated donor site(s) which include the jowls, buttocks, abdomen, thighs, hips, or “saddlebags.” A specialized low-impact liposuction technique is performed to ensure the collection of predominantly undamaged fat cells. Typically, this surface-level fat is withdrawn using a low-gauge hypodermic needle or a special cannula, or tube, that limits cellular damage. After your surgeon has the number of fat cells needed to sculpt the appearance you desire, these cells are added to a centrifuge that spins and separates them from the liquid that is also drawn out from liposuction. Your surgeon will remove any damaged fat cells, only keeping the whole, purified fat for your injection(s). Your facial fat treatment is finished by reintroducing the extracted fat from your body to your face via strategic injections. By this stage, your surgeon will have identified and marked the injection sites for the fat transfer on your face with the aim to restore volume, eliminate imperfections, and/or craft a new contour. With the use of a syringe, your cosmetic surgeon will then inject the centrifuged and purified fat cells into the desired areas at the depth needed to achieve precise aesthetic outcomes. Right after your facial fat transfer procedure, it will be normal to experience slight swelling and bruising at the donor and/or injection sites on your body or face. Any swelling will only last a few days, and pain medication can be used to manage any pain or discomfort you experience. Like all medical procedures, it’s highly encouraged to follow all postoperative instructions given to you by your surgeon or his staff. Most patients return to their routines and everyday light activity within 48 hours of treatment. After the initial swelling has gone down, a facial fat transfer patient will be able to notice a more youthful appearance almost immediately. The main takeaway from a facial fat transfer treatment is the incredible duration of your restored, voluminous skin. Although specific results will vary, the rejuvenation from a facial fat transfer lasts longer than most dermal fillers and collagen injections–several months to years or even permanently! recognize and accept its own fat readily. Transplanting one’s own fat also makes treatment versatile, allowing for contouring, lip augmentation, scar treatment, and correction of any concave or sunken areas on the face. The long-lasting results of a facial fat transfer can also complement other facial resurfacing techniques such as Botox or chemical peels. Overall, a facial fat transfer is a low-risk procedure with very few causes for concern. Though swelling and soreness are possible, they are not always experienced by patients. If you have any questions or concerns about a facial fat transfer treatment, please feel free to contact our accommodating staff and make an appointment with Dr. Yoo himself. The cost of your facial fat transfer depends on a few factors including the amount of fat that needs to be extracted for the targeted areas, the number of injections needed to produce your desired facial appearance, as well as any other supplementary treatments ordered such as body contouring or Botox. After discussing your aesthetic goals with Dr. Yoo during the initial consultation, you will receive a quote for your personalized treatment plan. To find out more about a facial fat transfer procedure, and if it’s right for you, call our office today at (949) 861-3340.